The airbase, about one mile directly east of the village of Edzell, was first established during the Great War (World War I). It was closed down in 1919 but operated as a civilian airfield during the 1930’s. It was returned to military service during World War II and utilized as an aircraft maintenance facility. The base closed after the war and its runways were briefly used a car racing track during the late 1950’s. The base reopened in 1960, this time under the nominal control of the U.S. Navy as part of its global High Frequency Direction Finding (HFDF) network. The base was home to the Oceanographic Monitoring Station, which monitored Russian naval activity in the North Sea and surrounding areas. During its heyday as many as 3,000 people worked on this base. I attended school on base at the William F. Halsey Primary School and often went fishing with my dad at Loch Wee. The U.S. Navy occupied this location for thirty-seven years until the facility was vacated for good in 1997. 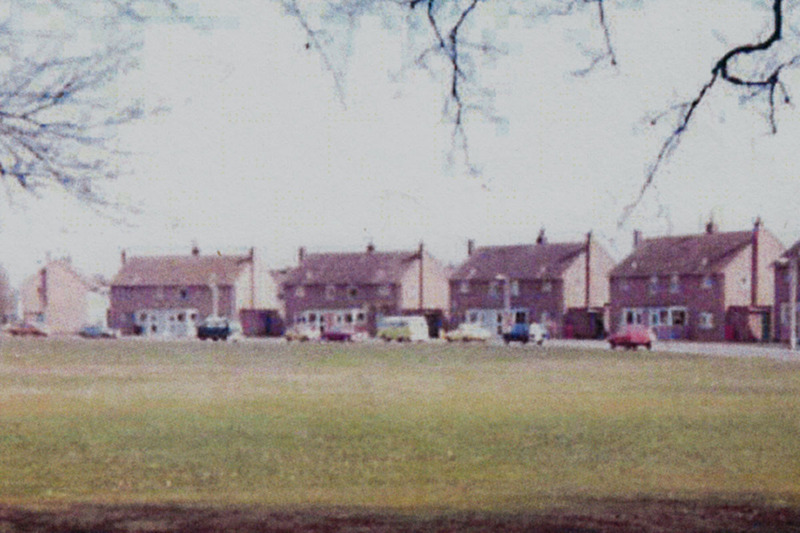 The 150 on-base housing units, fashioned as Edzell Woods, were sold off to civilian buyers. 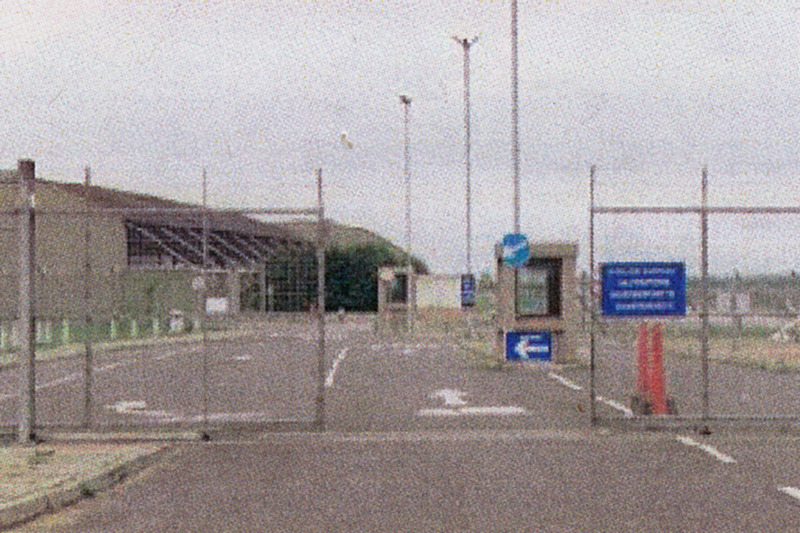 The remainder of the deserted base, including the old runways, is still under military control and off limits to this day. 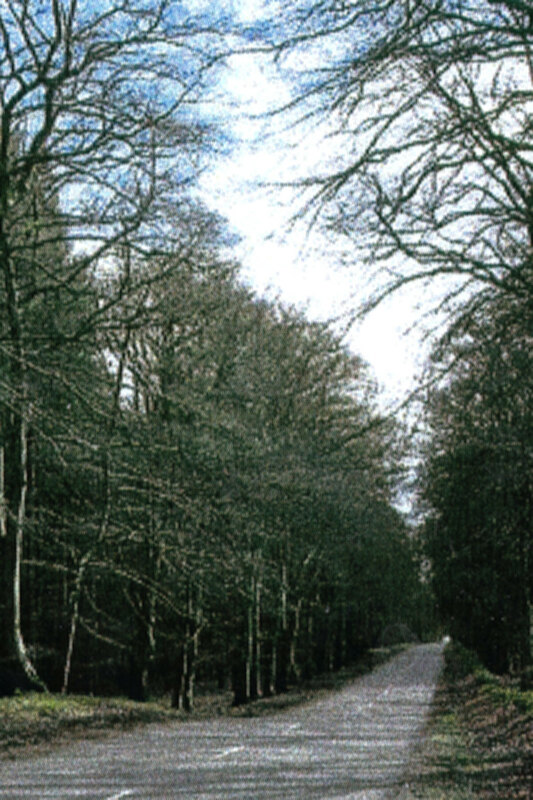 The road leading down to RAF Edzell. I riding in the car with my dad on this road and and a bird hit the windshield. We stopped and looked around but never found it. Hopefully the poor guy flew off but I doubt it. 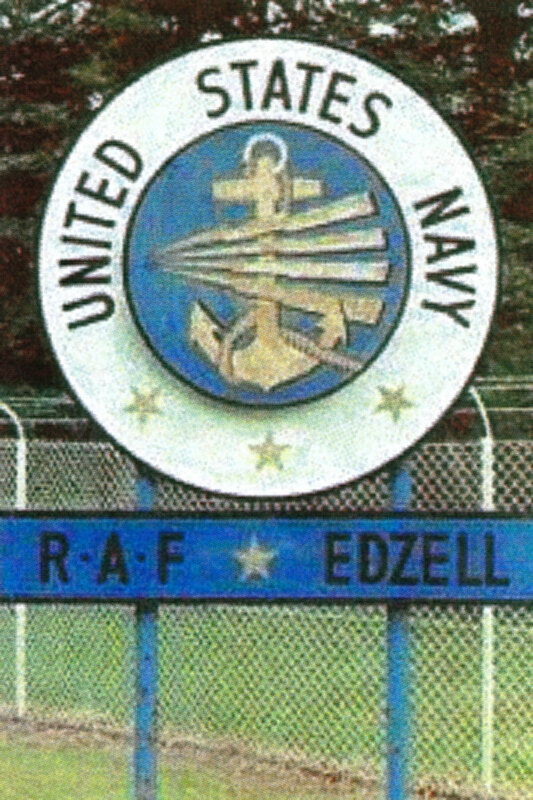 The sign revealing the U.S. Navy's presence aboard RAF Edzell. 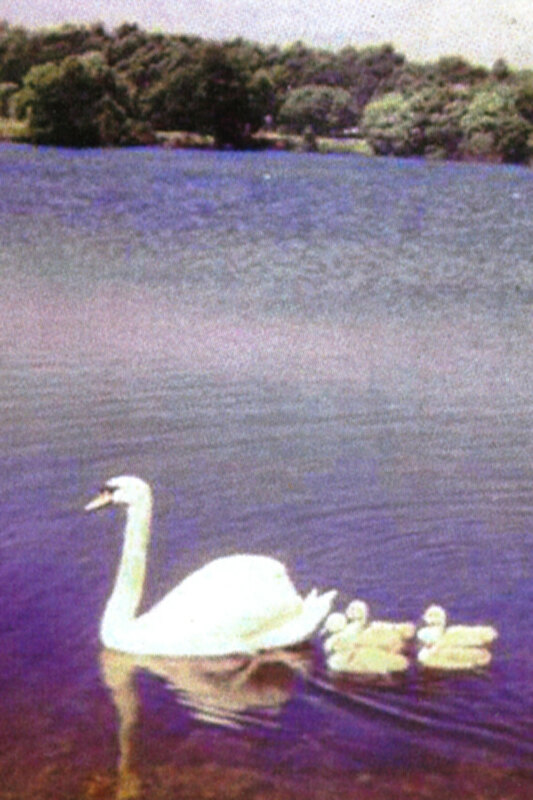 The mother Swan and her little ones at Loch Wee on base. The main gate leading into RAF Edzell. Base housing is off to the left. 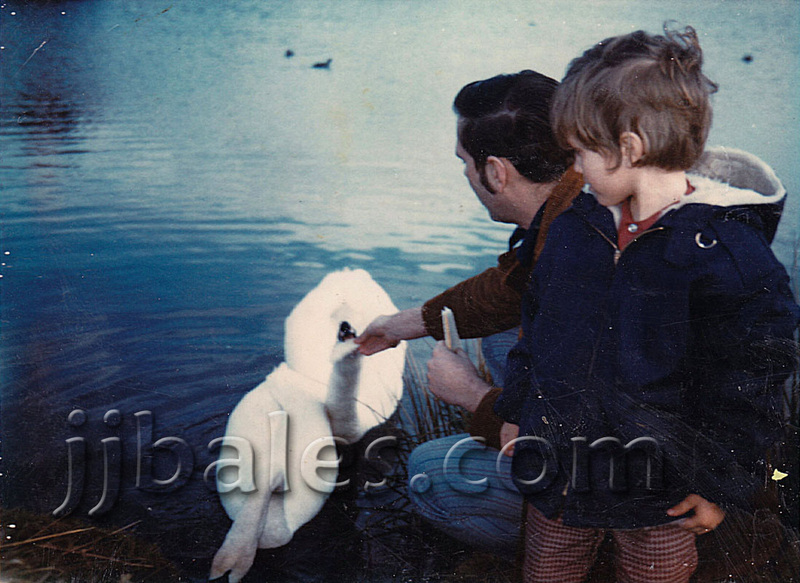 My dad feeding the swans at Loch Wee while I look on. The male swam seemed to know my dad's car and would fly up to greet him! The female swam was unfortunately killed in c1973 when she flew into some power lines. Base housing on RAF Edzell. I went to school nearby at William F. Halsey Primary School. 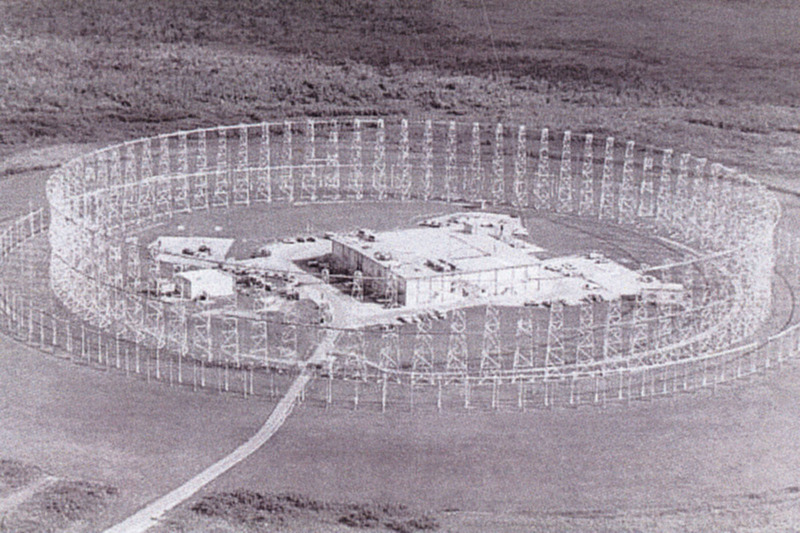 The AN/FLR-10 CDAA - "Elephant Cage" antenna array - amid the old unused runways at RAF Edzell. My dad worked here. 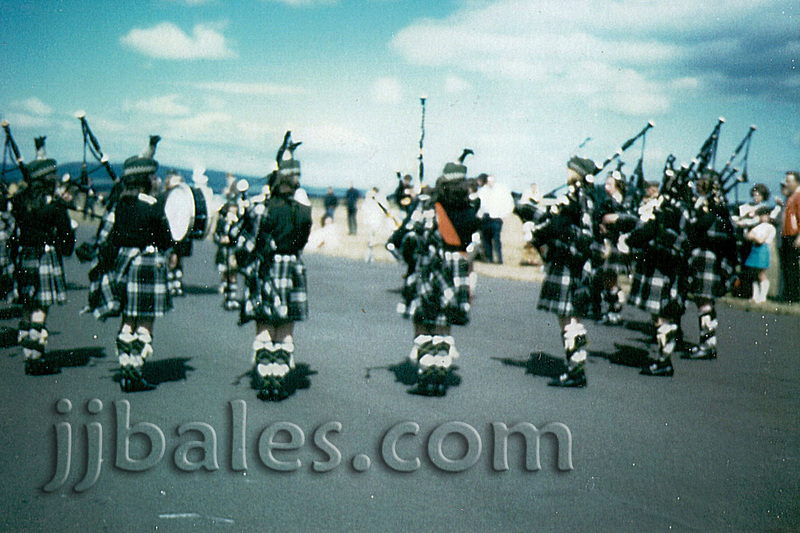 Bagpipers aboard RAF Edzell. 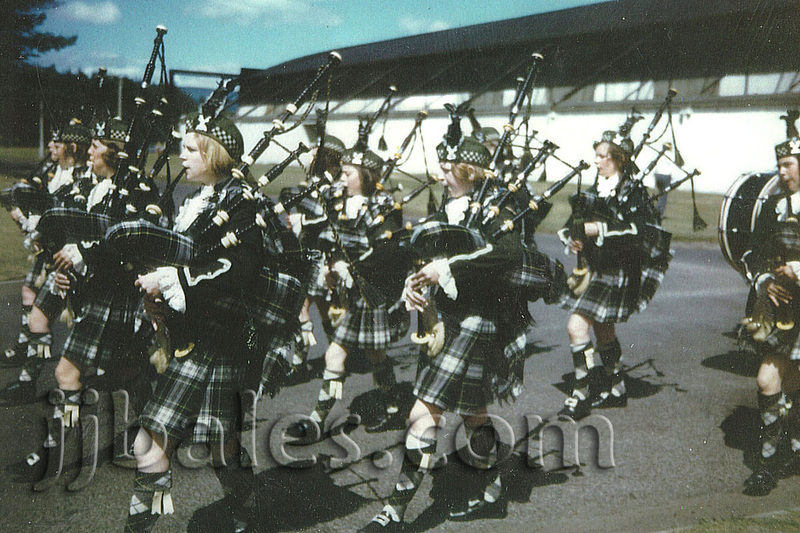 Possibly during a Scottish-American Day festival in 1970. Another photo from the same day aboard RAF Edzell.